Diani Beach Hospital is the premier private healthcare facility located in the beautiful Diani Beach on the South Coast of Kenya. From the advanced cardiac care ambulance to the state-of-the-art ICU we have taken steps to ensure that our patients get medical care on par with some of the top international hospitals. Our range of facilities include outstanding laboratory and imaging services, dental and physiotherapy departments, minor and major theaters, 24 hour doctors on call, and in-patient services. The department of aesthetic medicine offers cosmetic procedures like liposuction, Botox, Mesotherapy, wrinkle reduction treatments, non-surgical fat removal, and facial peels amongst a host of other treatment options. Very few centers in the region are able to offer such a wide basket of cosmetic services. We have a certified physician performing these procedures. 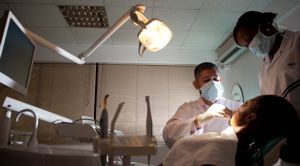 Diani Beach Hospital offers specialized procedures like orthodontics and cosmetic dentistry (LASER teeth whitening) as well as a wide range of general dental procedures like scaling, fillings, crowns and bridges, teeth extractions, and root canal therapies. Like everywhere else in the hospital the dental department boasts of a zero-risk of cross infections. Our Motto: Professional Healthcare with a Personal Touch. Diani Beach Hospital is committed to delivering international quality and affordable healthcare consistently to its patients. We aim to promote wellness, relieve suffering, and restore health as swiftly, safely and humanely as possible. Aiding us in our mission is our clinical expertise, the experience of our staff and our ability to embrace the ever changing technological advances in the field of medicine. To become the benchmark for excellence in healthcare and to establish ourselves as one of the best private hospitals in East Africa. Service: To anticipate and meet the needs of our patients, co-workers and medical colleagues. Putting patients first: We ensure that the very best is offered to every patient every single day. Patient safety and confidentiality: We boast of a ZERO-RISK of cross infections and all medical and demographic records of patients are treated with utmost confidentiality. Integrity: We build trust and conduct ourselves with the highest ethical standards. Respect: We respect people of all walks of life within the framework of our services. Innovation: We are open to developments and embrace technological and scientific advances openly. Diani Beach Hospital values and places great importance on quality and affordable healthcare to one and all. Our promise to our patients is to provide a quick and efficient service on par with international standards. The pioneer in healthcare in the region with over 15 years of experience. Exceptional calibre, training and dedication of our healthcare staff. 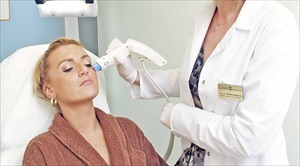 Unmatched range and complexity of treatments and services. Outstanding support staff to cater to your non-medical needs. Innumerable tourists, residents and corporate clients trust us. Provide patients access to the latest and most reliable diagnostic and treatment technologies. Excessive Sweating? 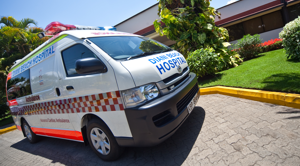 Diani Beach Hospital Has A Solution! Everyone from the driver, the receptionist, the nurses to the Doctors were excellent. Thank you so much for making our recovery so easy. You are all Stars! The friendliness and professional care of everybody here will be the best memory of my Kenya holiday. Super time – nice and relaxing! Super food – everytime! Super Staff – every need was catered for! The nurses were fantastic , food was good and the care second to none. Thanks for all, I wish Swedish hospitals were like yours! Thank you very much for your kindness and perfect service. I felt safe and very well looked after. Diani Beach Hospital – A five star hotel with nurses! Wonderful and friendly staff! Great variety of meals, comfortable clean rooms. I’m very grateful! Simply lifesavers. I am so grateful for all the work you guys have done. Fantastic doctors + all the staff. Thank you very much. You have been a part of my life in rough times – but memorable for my lifetime. Thank you for your great hospitality and care!